What is the reason the majority of people date their own race and rarely other races? Preference or the environment they live in? Short story: do you think most people actually prefer their race and that's why most couples are same race or it is because many cities/towns are not very diverse so there's not much to choose from? 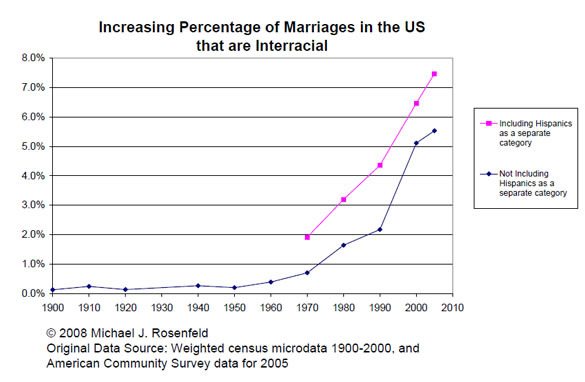 I think 15% is a pretty good amount of interracial marriages if u compare it to the last few decades. And also don't forget that there are also interracial relationships that are not included in that 15%. I know personally the only reason I don't mingle more with other races is probably just because I'm not as comfortable with their Customs what they eat things like that and I don't want to feel awkward in a situation so it doesn't allow me he with another race this easy as my own. It has nothing to do with me not liking the other person actually find the differences amazing. Would you date someone who's depressed/constantly sad? Would you date someone who just got out of a relationship? How do I meet guys without using dating apps or going to a bar or club? Girls, would you date a guy shorter than you? Guys, would you date a girl taller than you? What are some important questions that you ask on a FIRST DATE? As a general rule of thumb, people date first who they are attracted to and second those with whom they are comfortable. Steam engines dont mate with maglevs its basic nature. Usually it’s because they find it easier to understand and relate to each other’s culture or they were raised to marry someone of their own race. Home > Dating > What is the reason the majority of people date their own race and rarely other races? Preference or the environment they live in?